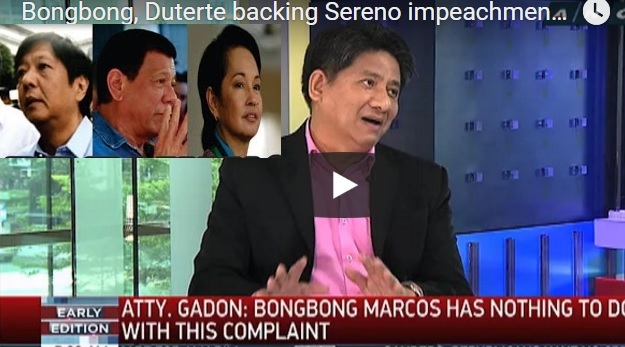 Gadon also denied that former President and now Congresswoman Gloria Macapagal Arroyo is behind the complaint. 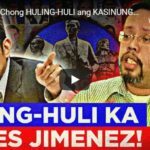 This speculation mushrooms after her previous appointee, the late Supreme Court Chief Justice Renato Corona, was impeached and removed from the High Court. Gadon is a member of Arroyo’s legal team. Gadon previously tried to convince Mrs. Arroyo to file a complaint against Ombudsman Conchita Carpio Morales. This was for malicious persecution but Mrs. Arroyo rejected the idea. He was even scolded when he told reporters that she was contemplating on filing a case. 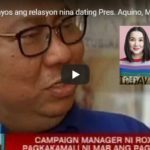 He said this time that Mrs. Arroyo did not endorse the impeachment complaint against Sereno. “I did not ask her,” he said. The House of Representatives justice committee recently announces that Gadon’s complaint is sufficient in form and substance. Among the Supreme Court documents, Gadon used were official lists of Sereno’s travel expenses and appointment letters. He also cited the Supreme Court’s purchase of a P5.1 million luxury vehicle for the CJ. Sereno’s discrepancies on her statement of assets liabilities and net worth (SALN) and her attorney’s fees in the Piatco Case were also raised. 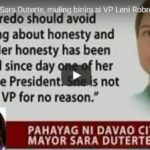 Sereno decided to keep quiet about it and refrained from making comments.